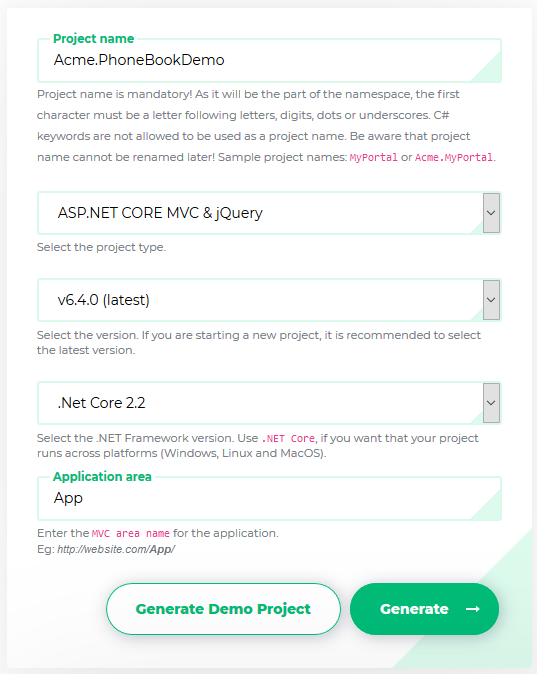 Select ASP.NET Core & jQuery as Project Type and fill other required fields. Click to the Download button, your project will be ready in one minute. Before opening the solution, open a command prompt, navigate to root directory of *.Web.Mvc project and run "yarn" command to install client side dependencies. Important Notice: Installing client side npm dependencies using yarn before opening the solution will decrease project opening & building time dramatically. Open the *.Web.sln solution in Visual Studio. If you want to work on only Xamarin project, open *.Mobile.sln solution. If you want to work on both Xamarin and Web projects, open *.All.sln solution. Right click the .Web.Mvc project, select "Set as StartUp project" and build the solution. It may take longer time in first build since all nuget packages will be restored. 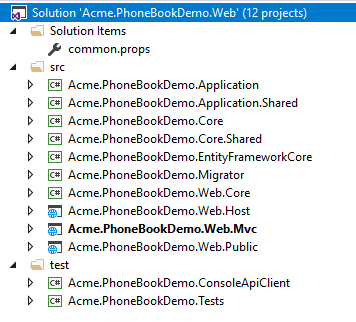 ASP.NET Zero solution includes a .Migrator (like Acme.PhoneBookDemo.Migrator) project in the solution. You can run this tool for database migrations on development and production platforms (see migrator docs for more information). You can use EF console commands for development and Migrator.exe for production. But notice that; Migrator.exe supports running migrations in multiple databases at once, which is very useful in development/production for multi tenant applications. 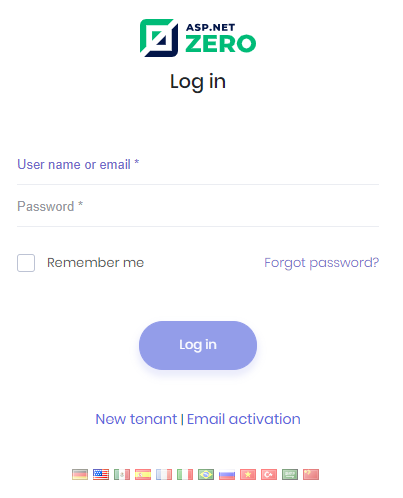 ASP.NET Zero supports multi-tenant and single-tenant applications. Multi-tenancy is enabled by default. If you don't have idea about multi-tenancy or don't want to create a multi-tenant application, you can disable it by setting PhoneBookDemoConsts.MultiTenancyEnabled to false in the *.Core.Shared project (name of the PhoneBookDemoConsts will be like YourProjectNameConsts for your project). If multi-tenancy is enabled, you will see the current tenant and a change link. If so, click to Change and enter default as tenant name. If you leave it empty, you login as the host admin user. Then enter admin as user name and 123qwe as password. You should change password at first login. 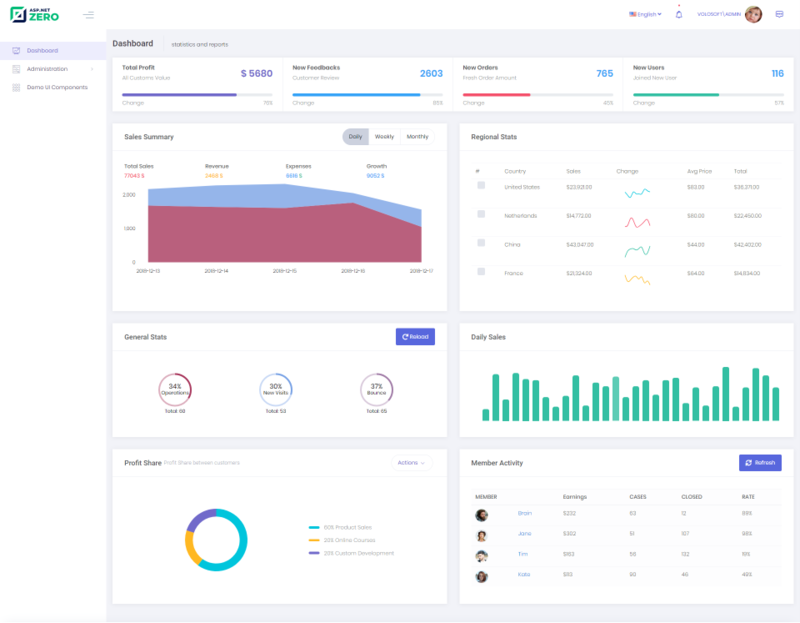 You will see the following dashboard page after logging in to the application.